Reusable cups reduce waste and save money. Many Cafe’s are joining in on the revolution and allowing you to bring in your reusable cup instead of using one of their takeaway cups. Reusable cups reduce waste. Most cafe’s use eco-friendly takeaway cups that are both biodegradable and recyclable, though these cups still end up in landfill for a period of time. Switching to a reusable cup can have a big impact. Reusable cups are inexpensive. With a large range available from basic to premium, you’re sure to find something that will suit your businesses budget. Branding a reusable cup is a small price to pay when you compare it to the impact waste has on our environment. Reusable cups will suit your brand guidelines. 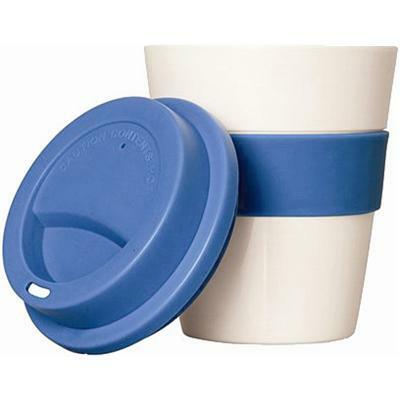 Reusable cups come in a wide variety of shapes and sizes. Many cups can even have the silicone bands matched to your exact company colours. Join the reusable cup revolution today and order branded reusable cups! Click here to view some of our range.